If you want to know how fast things change these days just blink. Not only is change constant, the pace of change seems to keep accelerating. As a lawyer advising clients about estate planning and estate and trust matters, I can tell you that clients find this challenging. The pace of change in our legal system is quickening. Just this year alone, from Colorado's new Civil Union law to the federal Taxpayer Relief Act of 2012 to the U.S. Supreme Court's consideration of DOMA, our entire legal landscape is not only changed, it is brand new. This article is not to address these changes individually, but simply to draw your attention to your numerous blinks, each one resulting in significant change. Now that I have some of your attention, I want you to ask, "what do I do and how do I embrace all these changes?" The answer to these questions has philosophical, emotional, quantum and physical elements. I'm going to take only one--the legal element. 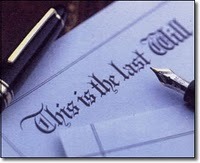 In the past three months the world of estate planning has been turned upside down. What was considered elemental last year is no longer. What was never considered possible is now the new normal. In estate planning, there is one tried and true way to keep pace with the pace of change. Review, review, review. The only way to stay on top of changes is to periodically review your plan, with your estate planner in light of personal changes, legal changes and financial changes. Are you doing this? When was the last time you reviewed your planning. Here is a good rule for 2013: if you last reviewed your plan prior to 2010, it is time for a review meeting NOW! The longer you wait, the more your plan will be out of synch. And there's one true thing about our legal system, it is not like fashion. You know fashion, just wait long enough and that "old" syle is back in fashion! Well, not so with our laws. As our society evolves and changes, our laws do as well. Unlike Alice, you can't click your heels and go back. Yes, the pace of change is faster than ever and is not going to slow down. That is like getting in front of a train and trying to stop it. That would take a super hero with super powers. Instead, just keep pace with the pace of change and review, review, review. Let me know your comments and join in our conversation. How do you feel about the pace of change?